Having fled to the Wilderness of Judah, David’s tongue perhaps clave to the roof of his mouth as he was famished for water. Though the want of his body was for physical water, his thirst for the comfort of God and His miraculous works far exceeded the physical thirst he suffered. We all have experienced our spiritual thirsts in the wilderness of life. Just as water alone will satisfy our physical thirst, only God alone can satisfy our spiritual. David’s thirst caused him to envision that water of the old well outside the gate of Bethlehem. We long for the good, old water of the past. The most Ancient Water of our souls is that Water of Life which our Lord represents in Fountains, Springs, and Rivers. 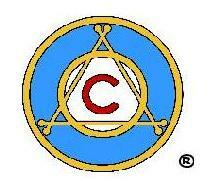 Following our previous discussion of the Nile River as a Type of God the Father, we will now examine the two Rivers – the Jordan and the Zayanderud – as Types of Christ (He being the central figure of the Trinity as depicted on the AOC symbol). THE JORDAN: In an illustration of the Dead Sea and the Sea of Galilee I gave previously, I spoke of the relatively short span of the River Jordan. It rises from three primary sources (springs) from the Heights of Mount Hermon in the north, cascades down the slopes picking up other reserves of water and nutrients from tributaries on its way to the valley. From the base of Mt. Hermon, the Jordan flows across fertile pastureland and into the Galilean Sea which is teeming with life. It emerges on the south banks of the Galilean and continues down the wilderness valley to the lowest point of landmass in the world – the Dead Sea. (420 meters below sea level contrasting to Death Valley’s 86 meters). The Sea of Galilee teems with life because it surrenders all of the Water of Life that it receives and receiving its blessings. The Dead Sea is dead because it gives up NOTHING. The Jordan River is only about 100 miles long – quite short. The life of Christ was only thirty three years, again, quite short. The Jordan River gives life everywhere it goes, and so does the Lord Jesus Christ. The Jordan flows down to the lowest point on earth. Christ came down to us (far below the Gates of Splendor and the Pavilions of Heaven) and dwelt among us. He even descended to the grave (lowest point). Like the Jordan flowing into the Dead Sea and dying, so did Christ flow into our world and died in the Wilderness of our Sins. What a wonderful Lord and Savior He is to us! THE ZAYANDERUD (GIVER OF LIFE IN FARSI): The second river to be typical of the Life of Christ is one in Persia called the Zayanderud. This is a Persian Word meaning “Giver of Life.” This river originates in the snows of the Zagross Range of Mountains to the West of Esfahan, the central city of Iran located on the high desert. The waters are pure and cold as they flow down the mountain peaks and into the valley high-desert valley. This river literally teems with life, and gives of itself to otherwise dry, arid meadows stretching from the base of the mountain range toward the desert city of Esfahan. They flow through the City of Esfahan providing life and joy to its residence. This typifies Christ as He went about healing and feeding all who came to Him. As the river courses through the city, men cast refuse into it. The world also abused Christ even in His deeds of righteousness. On the Eastern Gate of the City, the waters emerge and continue the journey across the barren desert. My wife and I were posted to this city and lived so near the river that we saw it every day of the five and one half years that we were assigned there.When flying above the desert terrain, one could know exactly where the course of the River flows, because there is a wide band of green vegetation for 5 or 10 miles either side of the rivers embankment. Everywhere Christ walked, there were multitudes on all sides hoping to benefit from His healing touch. The River gives Life everywhere it goes, and healing to the people. Crops flourish on either side in land that has lain fallow for centuries previous to the navigation ditches newly dug there.That is exactly what Christ has done for us. The River continues for about one hundred miles from its source and dies in another dead sea of salts and sands where no life can exist. It is very much like our own deserts of sin. Though a very short River, its impact is immeasurable in its blessings to the people of Persia. Just like the Life of Christ – it is rich and bountiful for us.The deadly salt-sea into which the river flows and dies is called Gav-Khuni or ‘Blood of an Ox’. It seems almost more than coincidence that this dead sea in a moslem nation should be so-called. Christ, too, was the Lamb of God whose blood was shed for us. These dead sea waters bear the deep red appearance of blood when viewed from the shore just as that blood that Jesus shed on the cross for us is ever before the eyes of the forgiven sinner. This River, called Giver of Life, is exactly an illustration of our Savior Jesus Christ. Christ is not only the Giver of Life, but He is the Truth, the Way, and the Life itself. Christ came, like this river, to a point between Heaven (the snow-capped Zagross Mountain Range) and Hell (Dead Sea Lake of Gav-Khuni) to benefit and save us. He feeds us with His daily Water of Life and Bread of Heaven. Have we tasted? Do our own souls “thirsteth for thee, my flesh longeth for thee in a dry and thirsty land, where no water is”? Just as the Giver of Life River gives life to all who come near its shores, so does the Lord Jesus Christ give eternal life to all who draw near by faith. Have you done so?